The first order with this anvil was to sandblast off decades worth of rust, oil, grime and grit. Once completed this made for a nice clean weld surface. This cleaning also revealed new detail to the anvils markings not previously discerned. 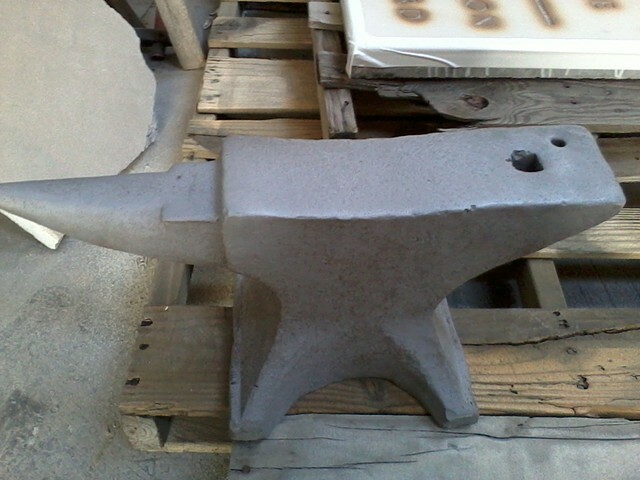 This is a Peter Wright anvil with "Solid Wrought" stamped onto its side. In finished images the body appears darker, it was heated and treated with an 'antique black' patina. Once the patina was complete the surfaces were polished showing a metallic luster juxtaposed by the 'blackened' recessed areas. Linseed oil was then used to seal and give a bit of a sheen.